Fantastic post, Jason! I spent half the day yesterday trying to figure out how to add Power App that would enable me to collect feedback from my report readers, so I think this gets me another step along that process. Not really sure how to share as you will not have access to the PowerApp that I made. Let me know if you have any questions when you follow the steps and I will try to help as much as I can. Great Piece of Work..! I am very new to power Apps…it will be good if you can share the complete step by step video for reference in future. I’m Trying to do this without the sending of the Email. My second screen shows “no Items” where it should show the comment box. For my Form1 what should i write for Item Property? How do you change the fields available to PowerBIIntegration once you’ve created the app ? 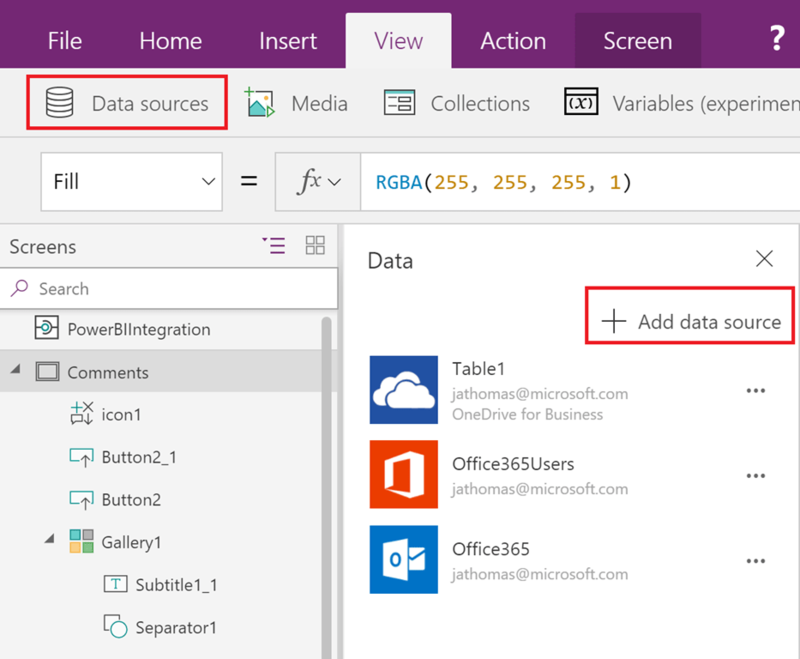 Or do you need to start again if you chose to supply more or different fields to the PowerApp from PowerBI ? I think you can just add the field in Power BI in edit mode, and then edit the PowerApp to get the field in. After saving, the new changes should be visible. That said, it is still in Preview mode, so you might face some wrinkles. Worked it out. Delete PowerApp from Power BI Report. 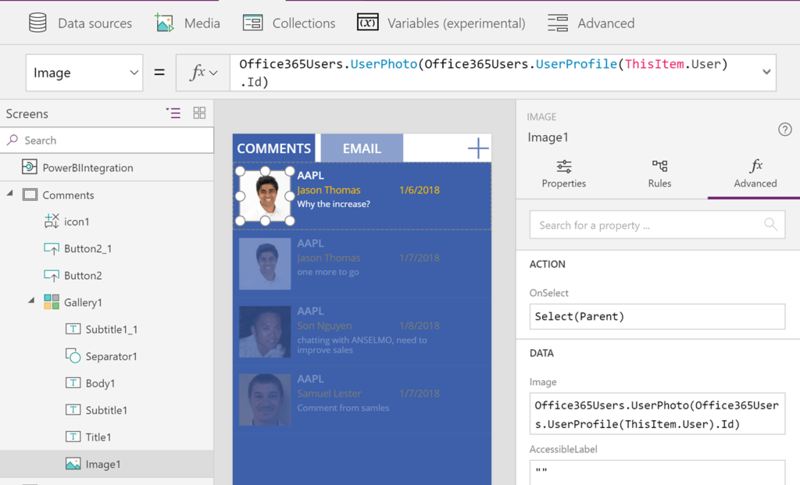 Re-add (not using Edge) PowerApp visual, re-open in studio and it updates the Integration object. How did you get it to show the date in the comment screen? This looks fantastic!! Thanks for sharing this. 1. Would it be possible for the user to edit/delete their own comment? 2. Can this be done in a way to read from and write back to a SQL Server db instead of the Excel sheet? 3. How is the PowerApp share/published? Could anyone in my organization find this app in the AppSource and add comments to this? So my PowerApp is shared with my organization, but when i tested the app with a colleague’s account on PowerBI, i couldn’t view or add any comments because the excel file wasn’t shared with that person. Is sharing the file with all report users the only way to go ahead with my Excel based POC of this commenting feature? How did you get the “Stock” Information for the comments/email? Did you hard code the 3 stocks? My DB will have thousands of items. I have created this app but my app is not working ,their is an error when i am running this app .when i have clicked on Email button it show’s error that “No items to display”. I would like to capture the comments, when the combination is selected. For example, i have two slicers, one is “country” and other is “Period”.I Have a simple table visualization, with Country,Period, Sales. when i Clicked on a particular row in the Visualization table, my PowerApp should pick up the selection. currently i was able to filter for one dimension (Period) [Filter(Table1, Period in PowerBIIntegration.Data.Period)], However i need to pass entire row from power BI to Power APP to filter in the PowerAPP visual. Is there any way to tweak this? Is it possible to make a video of the steps. I am new to power apps and i tried following the above steps. but getting error. Can i together with the comment show the stock value when the comment was posted? Do you have a video/guide from A-Z how to create this app from the beginning ? 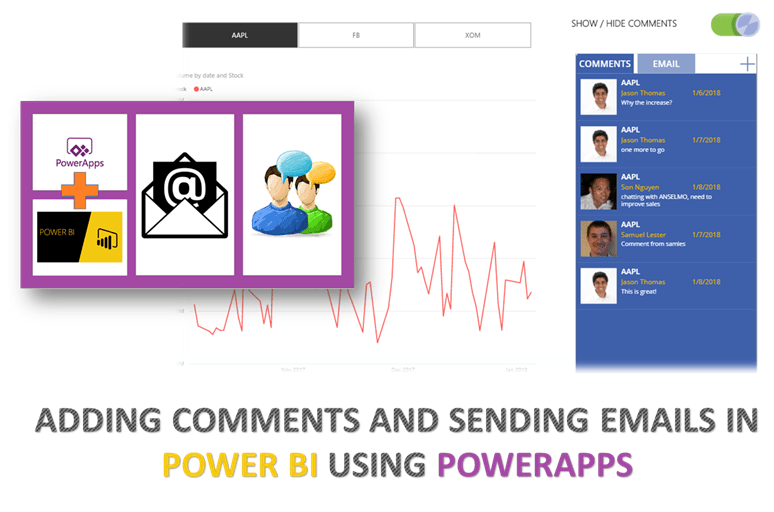 Power apps works for Power bi service level, but it is not working with Powerbi Report server. 2. SHarepoint list where to add lesson learned. the list has case no, case title, lesson learned. then I would like to use the powerapp custom visual into the powerBI report to feed the sharepoint list and add the comment. so my sharepoint list column case no and case title should be then populated from the table 1 available into the Powerbi report. 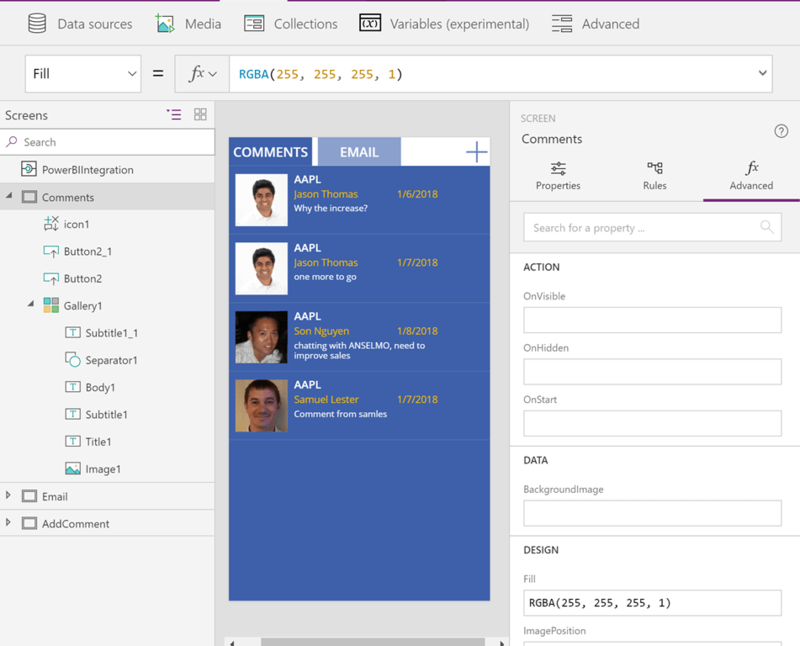 the lesson learned will be filled in by users thourgh the powerapp custom visual. could this work? if yes, how could I do it?